IPL: Two most popular franchises of IPL - Chennai Super Kings (CSK) and Royal Challengers Bangalore (RCB) will lock horns in the season-opener in Chennai on Saturday. Only a few hours left before the world’s most followed domestic T20 cricket tournament gets underway at the iconic MA Chidambaram stadChennai. The 12th edition of cash-rich Indian Premier League (IPL) promises to offer another joy-filled ride and an enthralling journey for all the cricket enthusiasts from all around the world. Two most popular franchises of IPL – Chennai Super Kings (CSK) and Royal Challengers Bangalore (RCB) will lock horns in the curtain raiser match in Chennai on Saturday. Ahead of the match, players from CSK and RCB were seen getting involved in an intense training session at Chepauk on Thursday. 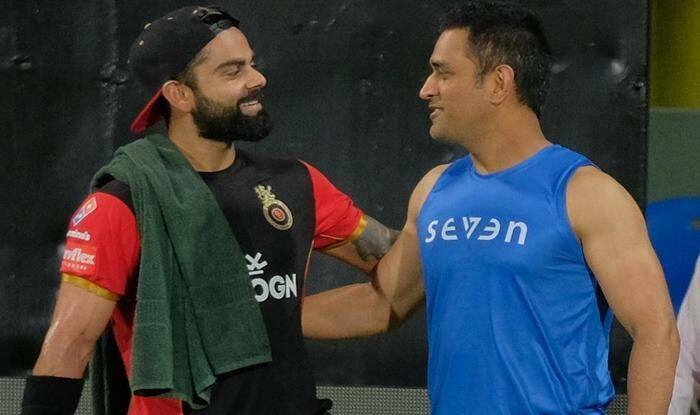 While the MSDhoni-led CSK has been training in a full-fledged manner since March 16, the RCB captained by Virat Kohli landed in the city and hit practice mode. Players of the two teams trained under lights at the iconic Chidambaram stadium. CSK suffered a blow on Wednesday when South African paceman Lungi Ngidi was ruled out due to an injury. Referring to the CSK being called the Dad’s army last season for the number of senior players in the squad, he said, the core of the team was kept and that made a huge difference. “Last year everyone doubted us, and we went on to win,” he said.